Browse > Home / creativity, Featured articles, general, leadership, learning, news, project-based learning, teaching, technology / CMK 2018 is Back for an 11th Year! We are excited to announce that the Constructing Modern Knowledge summer institute will be returning for an 11th year, July 10-13, 2018. Discount early-bird registration is now open! Sylvia Martinez and I created Constructing Modern Knowledge more than a decade ago to build a bridge between the learner-centered ideals of progressive educators and the modern knowledge construction opportunities afforded by new technological material. CMK 2017 was such an extraordinary success, that the summer institute tradition will continue next summer. Checkout recent project videos and read participant blog posts to appreciate why you can’t afford to miss Constructing Modern Knowledge 2018. “For four days, throughout the ups and downs, I had a bounce in my step and a smile on my face. I still wear a large smile and speak excitedly when asked about CMK. If this is what learning can feel like, surely we all deserve to learn this way.” – Kelly Watson. 5th grade teacher. Geelong, Australia. 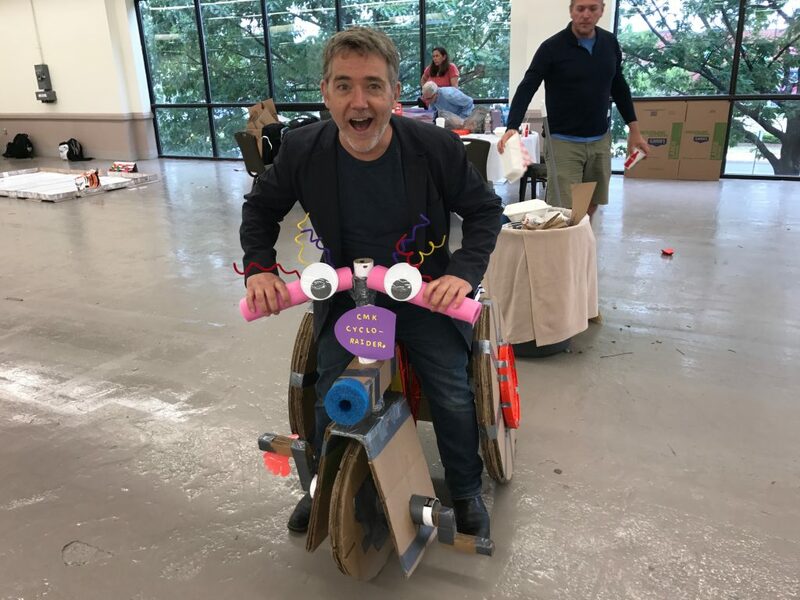 The following is a wrap-up report on the exciting 10th anniversary Constructing Modern Knowledge institute this past July. Where else can you imagine that Alfie Kohn or Peter Reynolds just drop by? 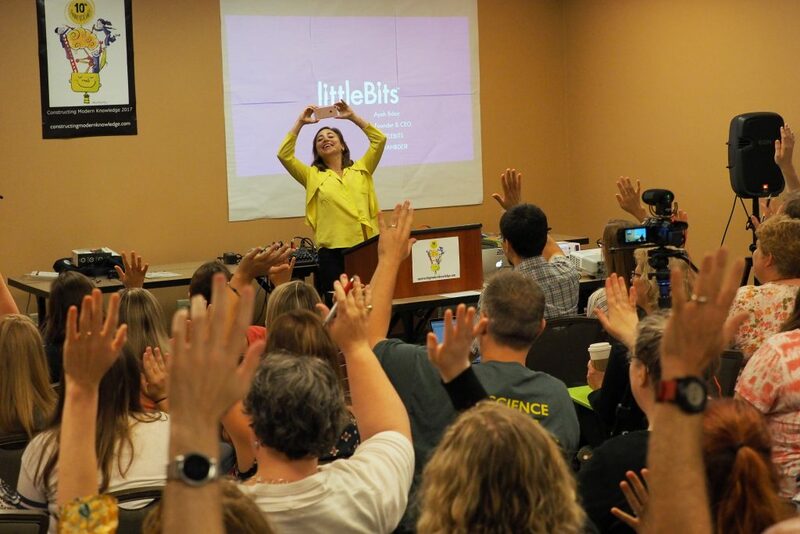 K-12 educators from around the world gathered recently in Manchester, New Hampshire to learn about learning by learning themselves. 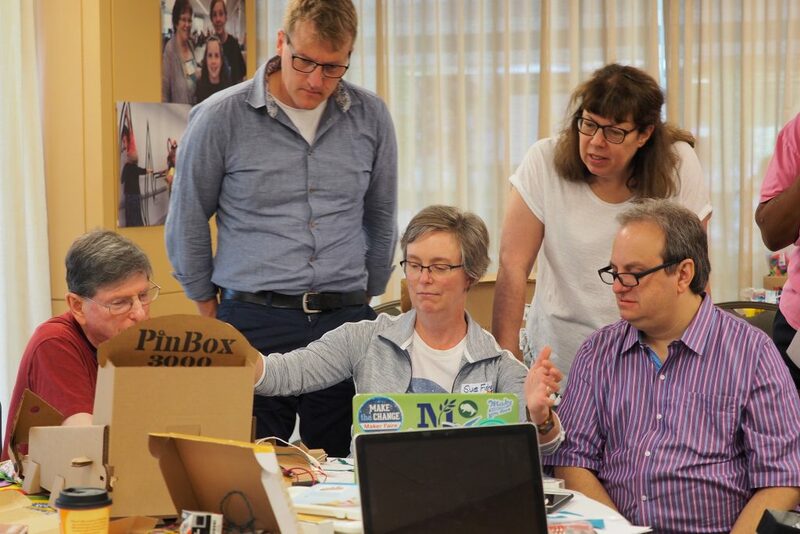 The 10th annual Constructing Modern Knowledge summer institute, July 11-14, was the place where educators could spend four days working on personally meaningful project development combining code, cutting-edge technology, and timeless craft traditions. 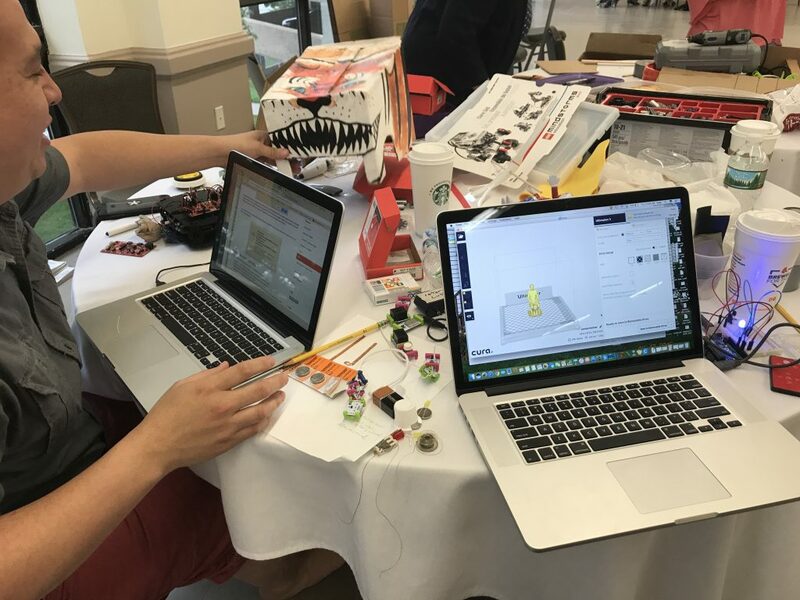 For a decade, CMK has demonstrated the creativity and competence of educators while challenging accepted notions of what is possible in classrooms today. Participating educators learn to program microntrollers, design their own software, fashion wearable computers, make films, invent fanciful contraptions, bring history to life, 3D print their creations, embed Raspberry Pi computers in working machines, and much more. 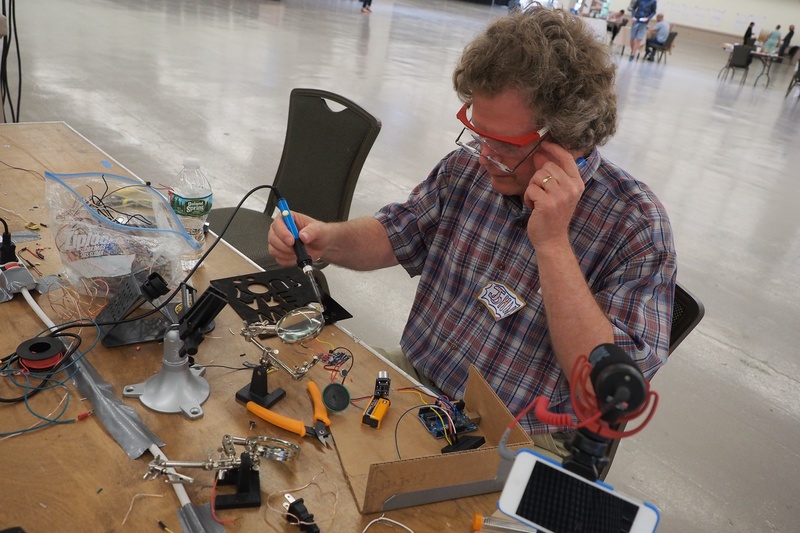 Each year, teachers with little or no computing or engineering experience create projects that two years earlier might have garnered them a TED Talk and five years ago might have resulted in an advanced engineering degree. When you liberate the learner lurking inside of teachers, they create the conditions for amplifying the potential of each student. 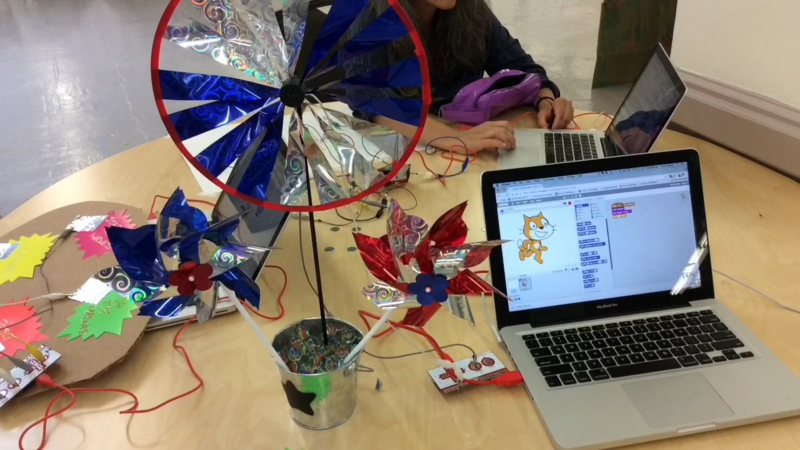 Constructing Modern Knowledge begins with a process of sharing ideas for what people would like to make. Then they then enjoy the luxury of time to pursue what might seem impossible. 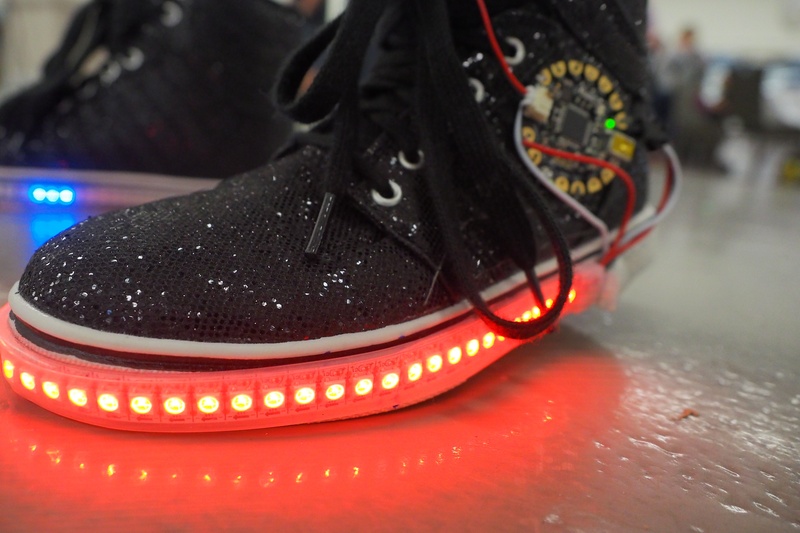 This year’s dozens of CMK projects included “Fitbit” sneakers that change color to indicate the number of steps you have walked (or run), digital carnival games, a helium balloon-powered drone, an automatic LEGO sorting machine and a fully programmable greenhouse. 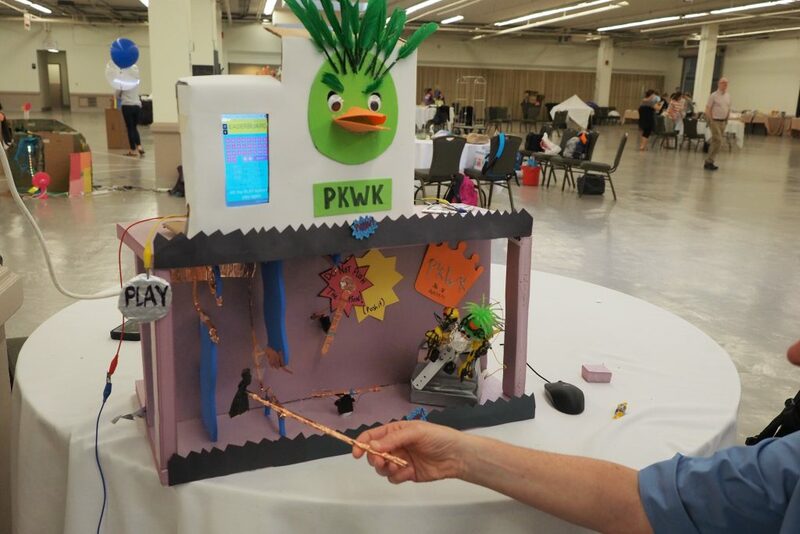 An accomplished faculty supports CMK participants, but most projects were created by educators with little or no previous experience with the technology used and they learned to invent such magnificent projects without coercion or any instruction. Constructing Modern Knowledge models the Piagetian adage, “Knowledge is a consequence of experience.” Participants at CMK take off their teacher hats and put on their learner hats to experience what learning could be in 2017. Unlike conferences where you sit through a series of lectures, CMK is about action. However, each day is punctuated by a conversation with an accomplished expert or thought leader. The past ten institutes have featured a remarkable assortment of educational visionaries, technology pioneers, and experts as guest speakers in fields your high school guidance counselor never imagined. We pride ourselves in offering educators opportunities to spend time with their heroes, rather than listen to them from afar. This year’s guest speakers included MacArthur Genius Award-winning educator Deborah Meier speaking about democracy and education, MIT Professor Neil Gershenfeld and his colleagues projecting a vision for the next 50 years of “making things,” and MaKey MaKey co-inventor Eric Rosenbaum teasing the future of Scratch. littleBits Founder and CEO, Ayah Bdeir, shared her remarkable life story and the values that make littleBits such a spectacular success. Our participants were inspired by Ayah’s presentation and delighted in sharing their work with her. 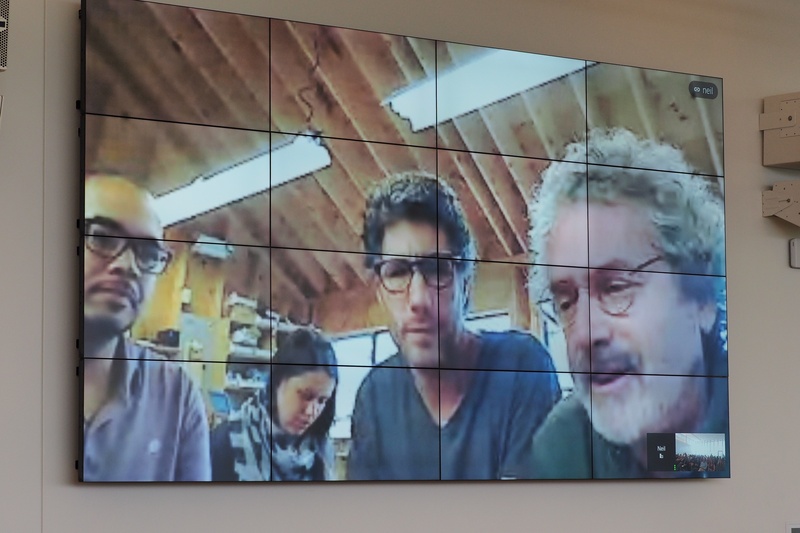 In addition to our guest speakers and visit to the MIT Media Lab, the 10th anniversary of Constructing Modern Knowledge was celebrated by authors Alfie Kohn and Peter Reynolds visiting the institute. 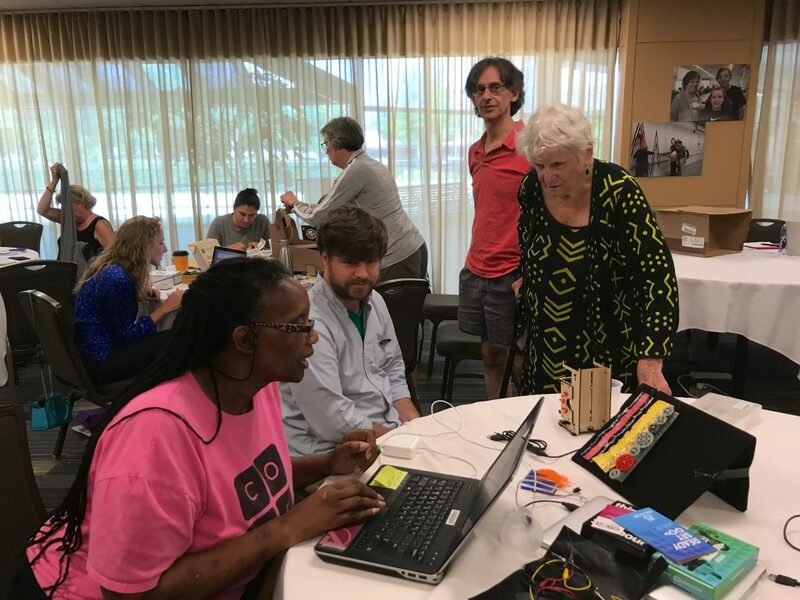 Participants in our pre-institute Introduction to Learning with Electronics workshop began the day learning with the new littleBits Code Kit! Team discounts allow schools and universities to build community around the CMK experience and better implement what was learned in the coming school year. “Constructing Modern Knowledge is the best “conference” you will attend as an educator searching for answers or strategies for progressive education.” Maggie Barth. School leader. North Dakota.